Premium compact sedans without an A-list marque affixed to their grilles are in a tough spot. They aren’t as desirable to people shopping for vanity, people who would rather get a Certified Pre-Owned BMW or Benz than settle for a second-tier luxury brand at the same price point. They also aren’t as desirable to people shopping for practicality, people who would prefer a loaded version of a larger mainstream model instead of a smaller but allegedly more upscale car. 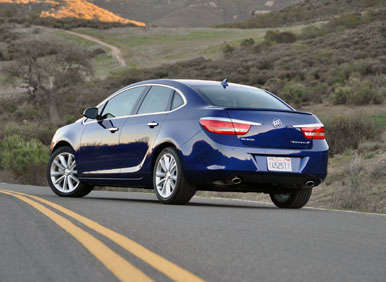 And so it goes for the impressive little Buick Verano Turbo, which is just a few inches shy in terms of rear legroom and cabin width from breaking free of size and price shackles that force it into competition against every new and used midsize and entry-luxury sedan from the Acura ILX to the Volvo S60. 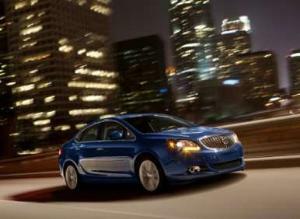 The 2013 Buick Verano starts at $23,975, including the $895 destination charge. 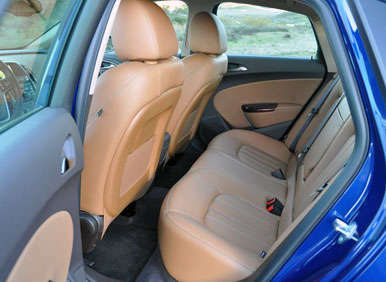 Three option packages are offered: Convenience, Leather, and Premium. 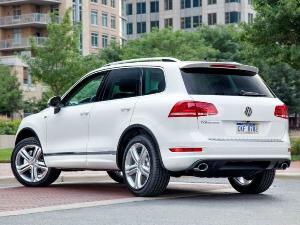 To get the turbocharged engine, the Premium Package is required, bringing the base price to $30,000. We tested a turbocharged Premium model painted Luxo Blue Metallic and equipped with a Choccachino leather interior, a power sunroof, and a navigation system. A 6-speed automatic transmission is standard for the Verano; the manual gearbox in our test car is a no-charge option. The final window sticker read $31,695. As it is a Buick, the Verano Turbo features lots of chrome, and the chrome is required to keep the otherwise anonymous car from disappearing into the automotive landscape. Thankfully, the attractive 18-inch aluminum wheels are painted silver, and the blue-ringed headlights lend a bit of distinctive character. Those anachronistic hood-mounted “Ventiports” are another character builder, but they really need to go. They look like a prank, or an aftermarket accessory purchased by someone with too much spare change and not enough common sense. I also question the extension of the chrome trim into the center of the trunk lid, making the Verano’s rear end appear to be scowling from beneath too much eyeliner. Inside of my sample Verano Turbo, it looked like a Starbucks Frappuccino blender had been cranked to maximum velocity without a lid. Crème-colored cloth headliner and A-pillar trim combine with a cocoa-and-caramel two-tone cabin treatment to create what Buick, not accidentally, describes as “Choccochino.” Accents include brushed and subtly tarnished metallic trim, glossy fake wood, and ill-advised Ice Blue contrast seat stitching. Buick installs a mixture of soft-touch and hard plastic materials for the Verano’s dashboard, the latter coated to reduce glare and finger-tip slip. Controls are well executed, offering refined feel and action, and the steering wheel is particularly gratifying to hold. Unfortunately, line workers at GM’s Lake Orion assembly facility in Michigan did a terrible job of lining up the driver’s door panel with the left portion of the dashboard inside of my test car, which served as a constant reminder of the indifference to quality formerly rampant at General Motors. 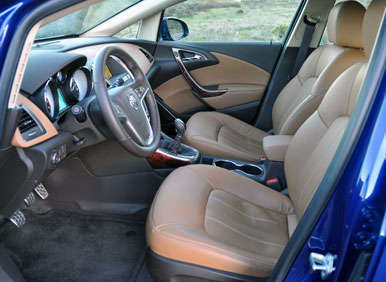 The Buick Verano’s front seats offer excellent thigh support and long-distance comfort, the heated steering wheel is immensely pleasurable to grip for long driving stints, the upper door panels are padded if not quite plush, and the center armrest slides forward for additional comfort. My only complaint is that when I braced my left leg against the door panel when taking a right-hand turn with gusto, the hard plastic door-mounted grab handle dug right into bone. Yowch. A more significant flaw pertains to rear seat room. The seat itself is reasonably comfortable and supportive, but the Verano’s back bench supplies scant legroom, and passenger comfort isn’t assisted by the hard plastic front seatbacks, which are unfriendly to the adult knees that are forced against them. Furthermore, the tall, relatively narrow rear doors make entry and exit somewhat difficult. And if you travel with children, like I regularly do, prepare for them to kick the front seatbacks on a constant basis, in part because they have little choice in the matter. Let’s put it this way: the shorter the front seat occupants are, the happier the rear seat occupants will be. If not for cramped rear seat space, this car would be an excellent family sedan in part because the trunk measures a generous 14.3 cu.-ft. On a long road trip, the Verano accommodated two large suitcases, a medium-sized duffel bag, a large backpack, a child’s roll-aboard, and a small stroller. The fixed trunk hinges, however, required careful arrangement of the luggage so that the trunk would close. Despite spending hundreds of miles on the highway driving the Verano, the center control panel always caused me to pause, resulting in too much time spent hunting for a button when I should have been looking ahead at the road. The problem is that the controls are sized and shaped similarly, with white markings on a gray background, and it takes time to scan the control panel and find the right button. Beyond that, functions that ought to be fairly simple to access are not. At one point during our trip, my wife and I wanted to adjust the stereo balance forward while the kids napped, and it took forever to figure out which sequence of button pushing and screen menus were required to perform what ought to have been a simple function. While spending a few nights in California’s cold and snowy Sierra Mountains, we made good use of the Verano’s seat heaters and heated steering wheel. However, the first few times we activated them, blue lights illuminated rather than the expected red lights to indicate heat. My wife said: “So this car has ventilated seats but not heated seats?” Granted, the indicator lights match Buick’s Ice Blue nighttime lighting theme, but we both believe the heated seat and heated steering wheel indicators ought to be red. Buick’s Intellilink technology is fairly easy to use, and it is worth noting that Buick is happy to supply one-on-one assistance with the IntelliLink system to Verano owners who are perplexed by the technology. 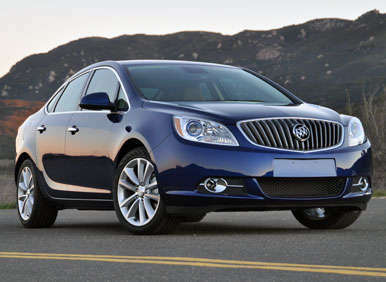 In addition to 10 standard air bags, the 2013 Buick Verano is equipped with a standard reversing camera system. 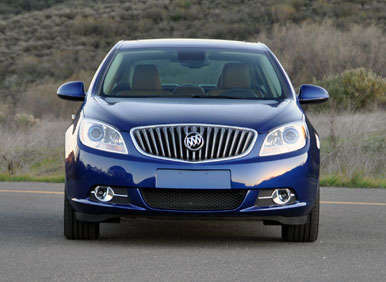 Buick has also added standard Side Blind Zone Alert and Rear Cross Traffic Alert systems to all versions of the Verano except for the base model. Additional standard safety features include a traction and stability control system, 4-wheel-disc anti-lock brakes with Panic Brake Assist, a smart brake pedal override feature that makes it impossible for the car to accelerate when the brake pedal is pressed, and OnStar telematics with a limited-time subscription to services including Automatic Crash Response. 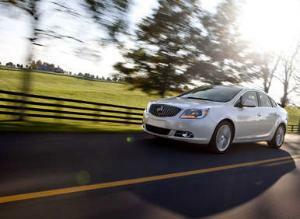 Automatic Crash Response activates if the Verano’s air bags deploy. A live operator contacts the Verano through the OnStar system to make sure everyone is OK. Even if nobody inside of the car can respond, the operator can send rescue personnel directly to the Verano’s exact location to get help to the scene of the accident just as soon as is possible. 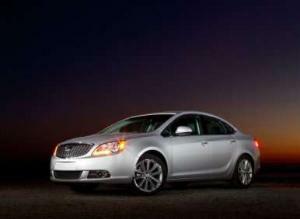 The big news for the 2013 Buick Verano, and the reason we reviewed the car, is the turbocharged 2.0-liter 4-cylinder engine that is included in the optional Premium Package. Lifted right out of the mid-size Buick Regal, the Verano’s version of the two-liter turbo is tuned to generate 250 horsepower at 5,300 rpm and 260 lb.-ft. of torque starting at 2,000 rpm. Named one of Ward’s 10 Best Engines in 2012, this engine is rated to return 24 mpg in combined driving, regardless of whether it is paired with the standard 6-speed automatic or the optional 6-speed manual gearbox. My test car had the manual transmission, and I averaged 26.8 mpg with the vast majority of my driving conducted on the highway. 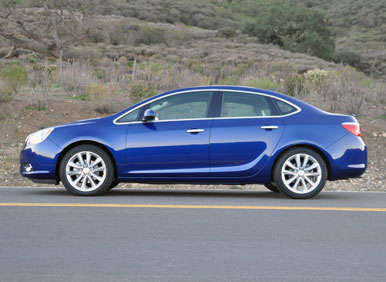 Whooshing about on a broad wave of turbocharged torque and riding on a softly sprung yet still communicative suspension, the 2013 Buick Verano Turbo reminds me of an old Saab. Which is a good thing. The engine delivers a genuine thrill combined with a hint of torque steer when accelerating hard, supplying a surfeit of horsepower and torque, far more than this 3,300-lb. vehicle – or its likely owner – might require. Consider this: the vaunted Mazdaspeed 3 weighs 3,281 pounds, and generates just 13 more horsepower and 20 lb.-ft. more torque than this Buick. 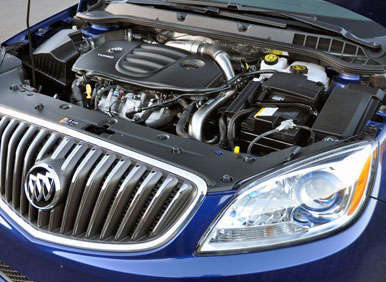 Better yet, the Verano Turbo is impervious to the power-sapping effects of altitude. As a former Coloradan, I recall that when compared to normally aspirated competitors, cars equipped with turbocharged engines are veritable rockets in the Mile High City. On my family road trip to California’s Sierra Mountains, the Verano Turbo felt just as athletic at 6,000 feet of elevation as it did at sea level. A 6-speed automatic transmission with Driver Shift Control is standard, and my bet is that 99% of Verano Turbos produced will include that transmission. 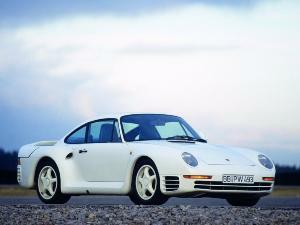 My test car had the optional no-charge 6-speed manual gearbox. On the one hand, I applaud the gesture toward driving enthusiasts. On the other hand, I am dumbfounded as to why Buick even bothered, especially since its presence eliminates the car’s otherwise standard remote starting feature. That said, the manual transmission is precise and easy to shift, even if throws are rather long. Buick should definitely install a hill-hold feature, but since so few row-‘em-yourself Verano Turbos will exist, perhaps that’s a non-issue. The Buick’s electric steering exhibits none of the sloppy on-centeredness, confused off-center oscillation, or fabricated stiffness that plagues some such systems. As a Buick, it is appropriately light and easy to twirl, but it is also responsive off-center and allows the driver to fine-tune inputs for precise driving, which really makes the car a pleasure on a favorite back road. The steering wheel, with a thick rim and proper thumb rests, is terrific to grip, a far cry from older Buicks. Additionally, the fade-free 4-wheel-disc brakes proved impressive, equipped with a responsive, progressive brake pedal that is easy to modulate for smooth, drama-free stops. At first glance, the Verano Turbo’s rear semi-independent Watt’s Z-link suspension sounds unimpressive, but as it turns out, it’s not necessarily a liability. Offering more compliance than a typical sport sedan, on a par with non-performance iterations of European vehicles, and particularly Volkswagens, the Buick Verano Turbo’s suspension controls body roll exceptionally well. The result is an excellent ride quality combined with entertaining handling, even if the front-driver’s limits are fairly modest by sport sedan standards. Appropriately, the 235/45R18 Continential ContiProContact all-season tires signal approaching limits of adhesion with plenty of warning. Buick makes plenty of noise about its QuietTuning efforts to eradicate aural disturbances from the cabins of its cars, and I have to say that the company has done an extraordinary job with the Verano Turbo. Aside from some wind noise from around the top of the windshield, my test car was relatively silent. 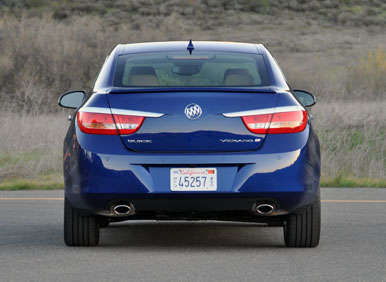 This became even more evident during a 24-hour overlap with a 2013 Acura ILX, one of the Verano’s direct competitors. Compared to the Buick, the Acura’s cacophonous interior sounds as if all the windows are rolled down. A 2013 Dodge Dart Limited with every single option box checked carries a sticker price of $28,275. Mercedes-Benz is about to launch a new front-wheel-drive CLA250 model that is expected to start at about $30,000. 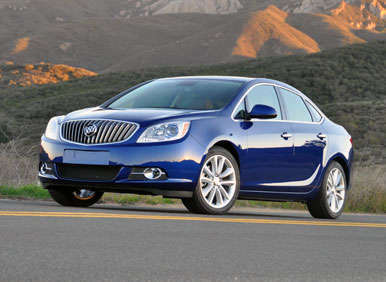 As mainstream brands add technology and equipment to better appeal to consumers seeking fuel economy without compromise, and as A-list luxury brands launch new, less expensive models designed to capture less affluent buyers at earlier stages, there is little opportunity remaining in the market for a premium compact like the Buick Verano. That’s really too bad, because this is an unexpectedly impressive package that is delightful fun to drive. It will certainly make an excellent choice as a certified pre-owned vehicle.